I offer affordable, targeted opportunities to reach jewelry lovers on the web. There’s something available for every budget. I show up in Google for almost anything related to jewelry, diamonds, certification, clarity (VS1, SI1, SI3), ideal proportions, symmetry, single cuts, quality, as well as engagement rings, metal, advice, sizings, engravings, stamp marks, and specific topics like chakra jewelry, birthstones, watch batteries, fake rolex, Tiffany, and tons and tons of jewelry resources: loupes, microscopes, ultrasonic cleaners, steamers, ring cutters, and watch tools to name a few. IMAGE: I will use an IMAGE that already exists on my site (or create a new one), that is linkable to your product (like the images in: jewelry cleaners, and watch tools). You write the article, no duplicate content or spun content, with 2 (nofollow) links to your site (you must supply photos). Topic MUST be jewelry related, of course! $250.00 review post (that I will write in my own opinion, good or bad (after testing) – and you’ll be required to send me the actual item so I can review and photo) I will be HONEST in this review, just so you know. 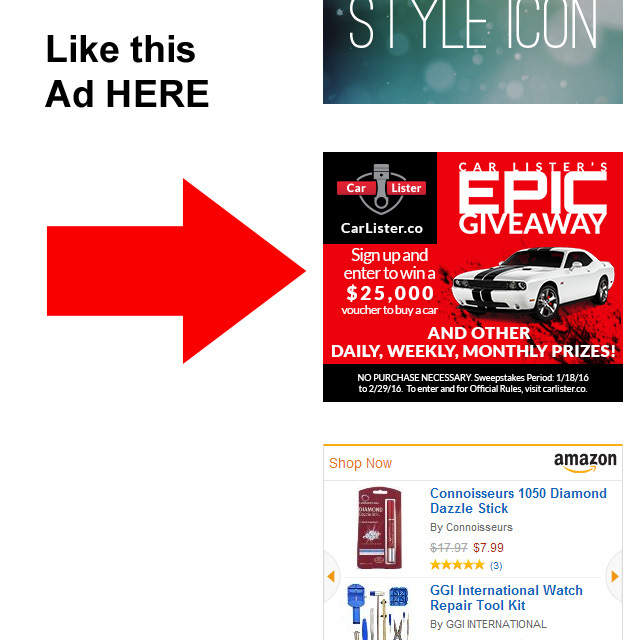 Banner ads can be of any topic, and I will host the image myself. Additional/custom display sizes and locations available upon request. PRINT OUT MY RATE SHEET HERE! ALL other opportunities will be entertained on an individual basis. All advertising is (nofollow) and offered on a monthly basis (except where noted) at the sole discretion of the webmaster. A month is a consecutive 30-day period. Payment must be made in advance and ad must be provided in advance for approval. Payment will be made through Paypal. If you are seriously interested in pursuing advertising with Jewelry Secrets please send me your contact information. I reserve the right to refuse any advertising. In addition, I will also accept items that can be offered in a giveaway format (like a contest) from businesses (see my sponsored page HERE). Thanks much, I look forward to hearing from you.